Christopher James "Chris" Christie (born September 6, 1962) is the 55th Governor of New Jersey. He has been governor since January 2010 and was re-elected for a second term in the 2013 election. Christie is a candidate for the Republican nomination in the 2016 presidential election. Born in Newark in 1962, Christie volunteered for the gubernatorial campaign of Republican Thomas Kean when he was fifteen years old. A 1984 graduate of the University of Delaware, Christie earned a J.D. at Seton Hall University School of Law. Christie joined a Cranford, New Jersey, law firm in 1987, rose to become a partner in 1993, and continued practicing until 2002. He was elected county legislator in Morris County, serving from 1995 to 1998, during which time he generally pushed for lower taxes and lower spending. By 2002, Christie had campaigned for Presidents George H. W. Bush and George W. Bush; the latter appointed him as United States Attorney for New Jersey, a position he held from 2002 to 2008. In that position, he emphasized prosecutions of political corruption and also obtained convictions for sexual slavery, arms trafficking, racketeering by gangs, and other federal crimes. In January 2009, Christie declared his candidacy for Governor of New Jersey. He won the Republican primary, and defeated incumbent Governor Jon Corzine in the election that November. In 2013, he won re-election as Governor, defeating Democrat Barbara Buono by a margin of over 22%. He was sworn in to a second term as governor on January 21, 2014. On November 21, 2013, Christie was elected Chairman of the Republican Governors Association, succeeding Louisiana Governor Bobby Jindal. 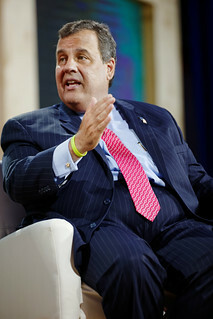 Christie was seen as a potential candidate in the 2012 presidential election, and though not running, he was the keynote speaker at the 2012 Republican National Convention. Following the controversial closure of toll plaza access lanes in Fort Lee in 2013, an internal investigation commissioned by the Governor's Office found no evidence of Christie having prior knowledge of or having directed the closure. During a May 1, 2015 news conference, U.S. Attorney Paul J. Fishman stated that, based upon the then-available evidence, his office would not bring further charges in the case. Additional New Hampshire speakers will be confirmed in the coming weeks. Watch The74Million.org and EdSummits2015.org for new announcements, and check back for video and updates from both summits. All speakers at both the 2015 New Hampshire Summit and 2015 Iowa Summit are invited in their current personal or professional capacities and will appear on stage separately for an important conversation about America’s education challenges and opportunities. When it comes to most political debates, K-12 education issues tend to get overshadowed by a landslide of other domestic policy issues. The 2015 Education Summits will keep the conversation focused on America’s most urgent policy issue, affording featured speakers time to provide in-depth perspectives outside the formal parameters of the presidential debates.